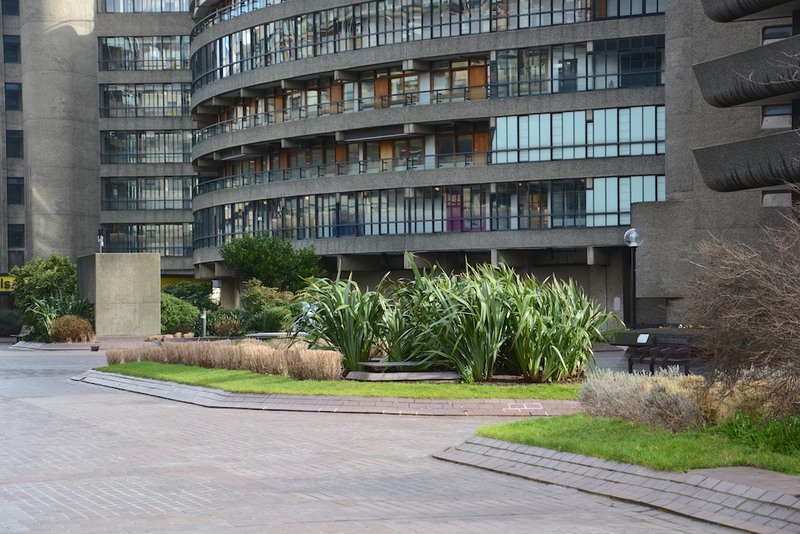 Prior to the transformation, the planting in the beds in Beech Gardens consisted of large shrubs and trees, with patches of seasonal summer and spring bedding, and spring bulbs. 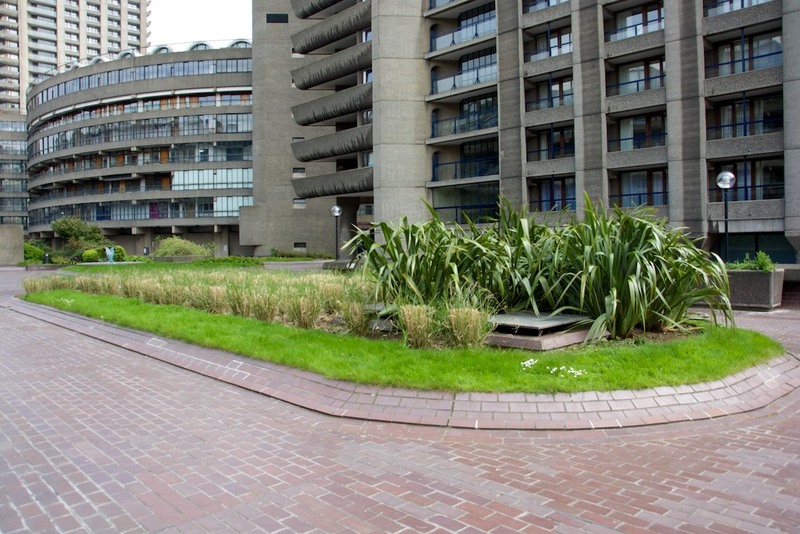 The planting beds were surrounded by thin strips of mown grass. 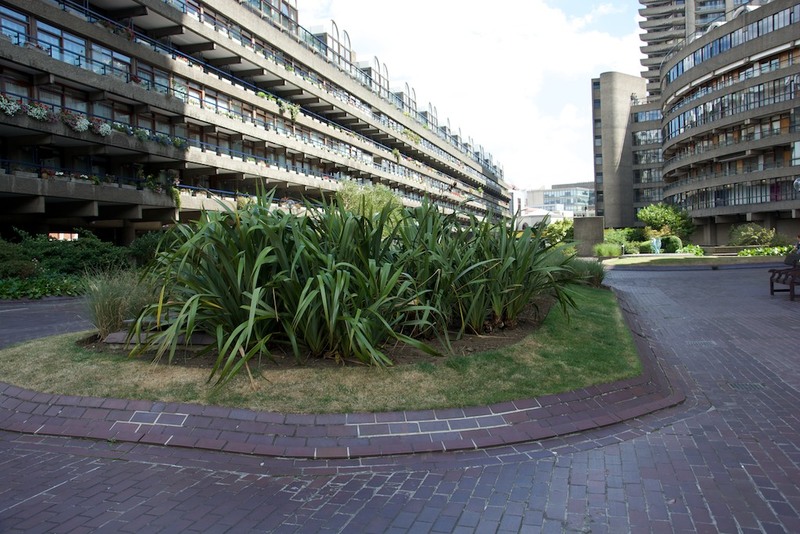 Although this is a roof garden, and the depth of growing medium was relatively thin over much of the area, the vegetation survived and prospered because of the continuous automatic irrigation, using treated mains water. Large shrubs and small trees were found in most of the beds. 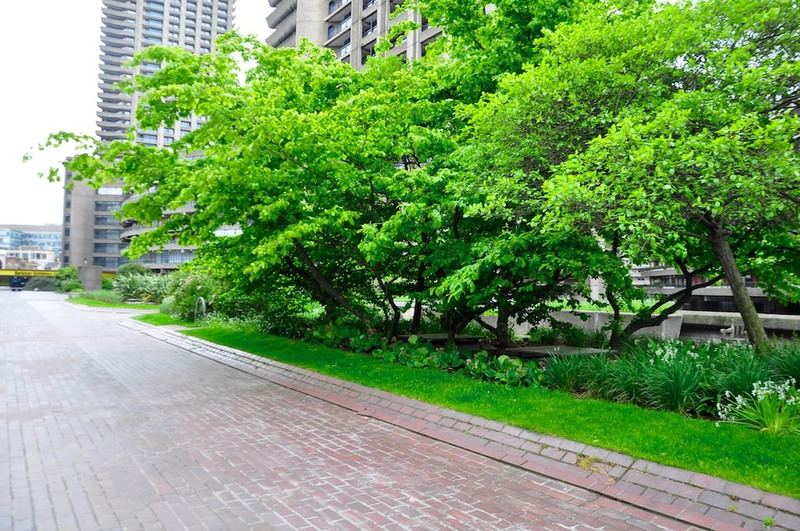 However, current building regulations and standards do not permit the use of such large woody plants in areas where there is no underlying structural support, and therefore in the replanting the number of trees that could be used was much less than in the original plantings. More recently, some of the original plantings were replaced with monocultural blocks of ornamental grasses and Phormiums. 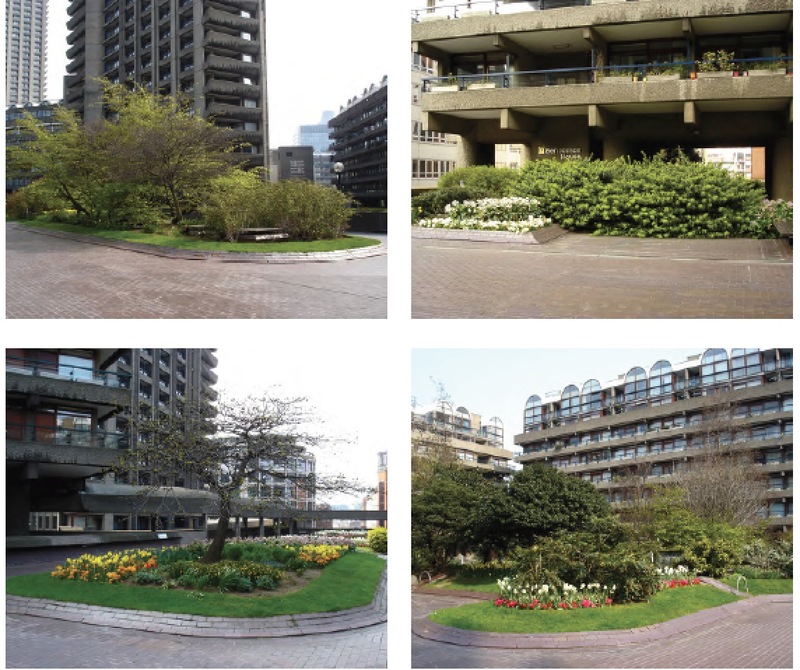 The photographs below indicate the previous nature of the Beech Gardens plantings.